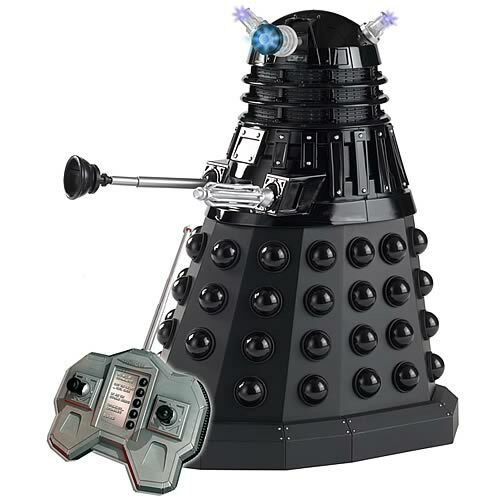 I’ve always had a soft spot for Daleks, the horrifying antagonistic race bent on destroying all non-Dalek life in the Dr. Who universe. You know, the huge salt-and-pepper shaker creatures that spread a pandemic of hiding-behind-the-sofa syndrome among British schoolchildren. They’re pretty cute, don’t you agree? Okay, so I’m not talking about the scary Daleks found in the serial, these RC Daleks are a lot friendlier than their on-screen counterparts. Anything you can control by remote is infinitely less scary (unless it’s a TV and you’re watching The Ring), and on top of that, these little guys are only about 12 inches tall. That’s actually smaller – and much less terrifying – than the average housecat. The bronze option feels a lot more familiar, though the outer shell still isn’t very metallic – he’s less sinister this way, so it’s not really a problem. The choice of paint is a bit unexpected, since the species does favor shiny metal armour. 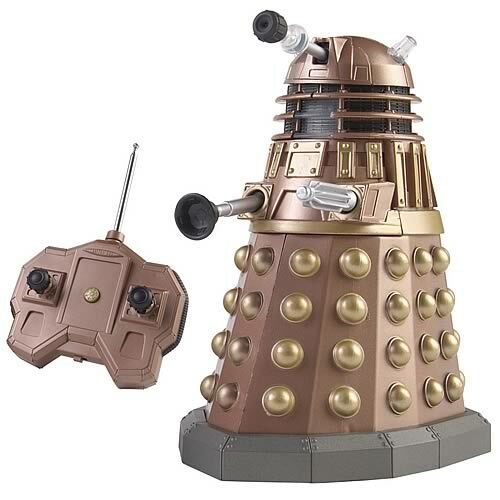 Still, his tiny death-ray and plunger arm are just darlings, and you can take him home for only$69.99. The silver one is my personal favourite; he perfectly captures the creepiness of a Dalek. While Daleks look acceptably robotic on the outside, they’re actually small organic creatures of the squelchy green and tentacle-adorned sort. The contrast between the outer and inner is great, and having armors that look real just makes these figurines all the more appealing. 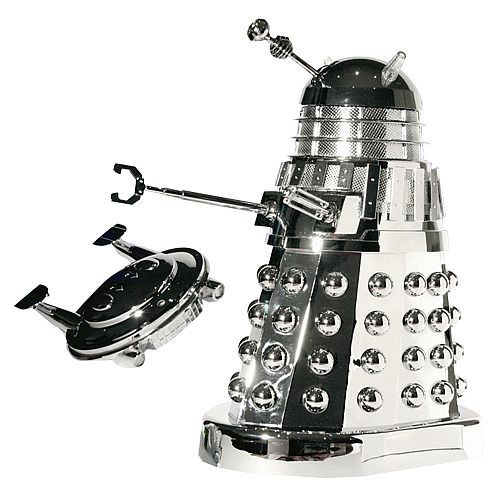 The chrome Dalek is the most expensive of the lot, at $99.99 but he also looks so much cooler. 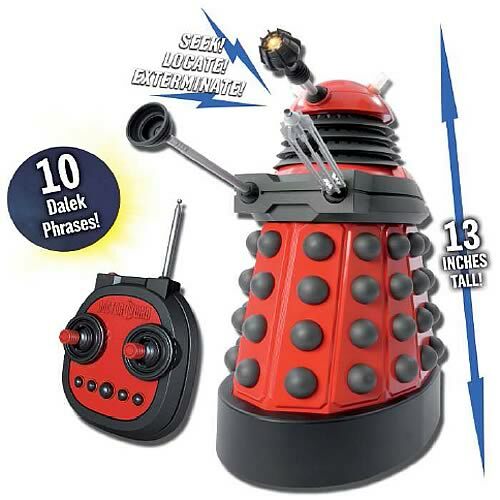 Finally, we have the red Dalek, a mere drone who – like all Daleks – would love to kill you sooner than it looks at you through his telescoping single eye. You could almost feel pity for him – after all, he can’t feel any emotion other than hate! Oh wait, no, don’t feel bad for the Daleks, that just means that they won’t feel remorse when they wipe out the entire universe. This last drone costs $84.99. If you’re too intimidated by having a miniature Dalek in your home, perhaps a cheerful police box might be your TARDIS mug of tea, served with delicious cookies from an equally charming TARDIS cookie jar.